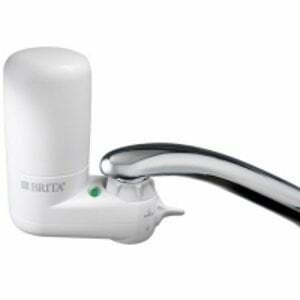 The Brita On Tap Faucet Filter System is a newer model of Brita's popular On Tap Faucet Filtration system. It attaches directly to your faucet to provide filtered water whenever it is needed. The Brita OPFF-100 Faucet Filter fits all standard sized faucets and attaches easily without the use of tools. 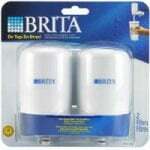 This Brita faucet filter system comes in a white plastic design. 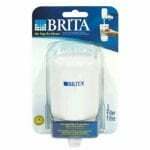 The Brita On Tap Filter feature uses the Brita FR-200 (42402) 2-Stage Faucet Filter. 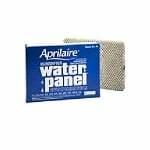 Changing the filter is easy and convenient because the electronic LED filter replacement indicator turns red when the filter needs to be replaced. The filter lasts for about 100 gallons or around two months although filter life may vary depending on frequency of usage and water quality.